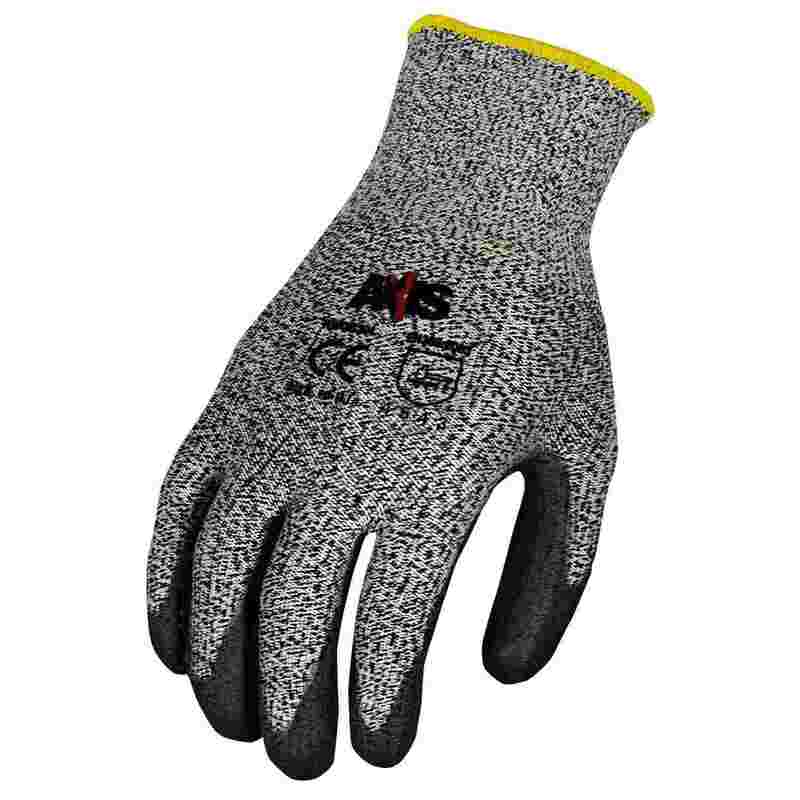 The Radians Axis level 4 cut protection dipped glove provides excellent protection against abrasion, cuts, tear and puncture. The seamless design of the 13 gauge, HPPE shell with the foam nitrile dipped palm provides excellent protection and a comfortable fit in wet or dry applications. 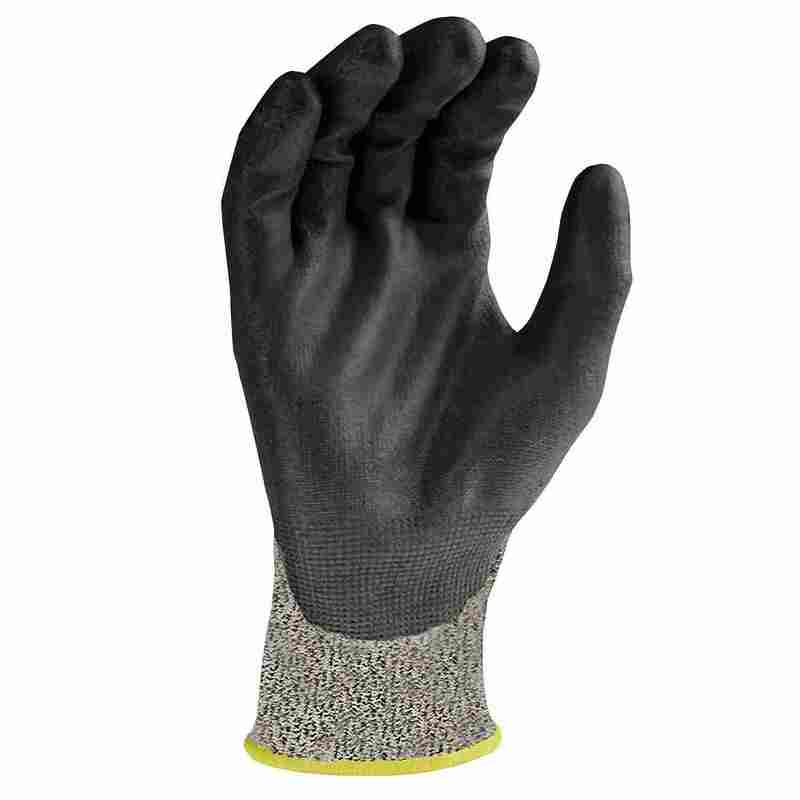 Foam nitrile palm dip provides protection from abrasion in wet or dry conditions. Meets EN 388:2003 standards for Abrasion Resistance, Blade Cut, Tear, and Puncture ( 4 5 4 3). ANSI Cut Level 4, CE Cut Level 5. 360 degree breathable with high dexterity.